Now that school is out for the summer it’s important to find activities to keep your kids from getting bored. 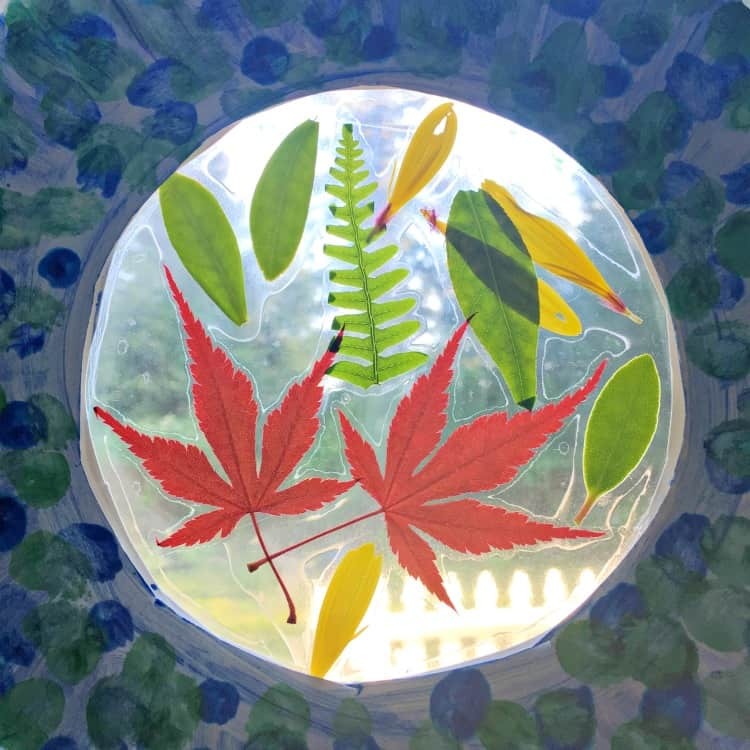 Today’s craft is great for kids because it lets them get out in nature and forage for leaves and flowers. This can be used as a learning opportunity to identify different species of plants and an excuse to help your kids to get some much needed exercise. 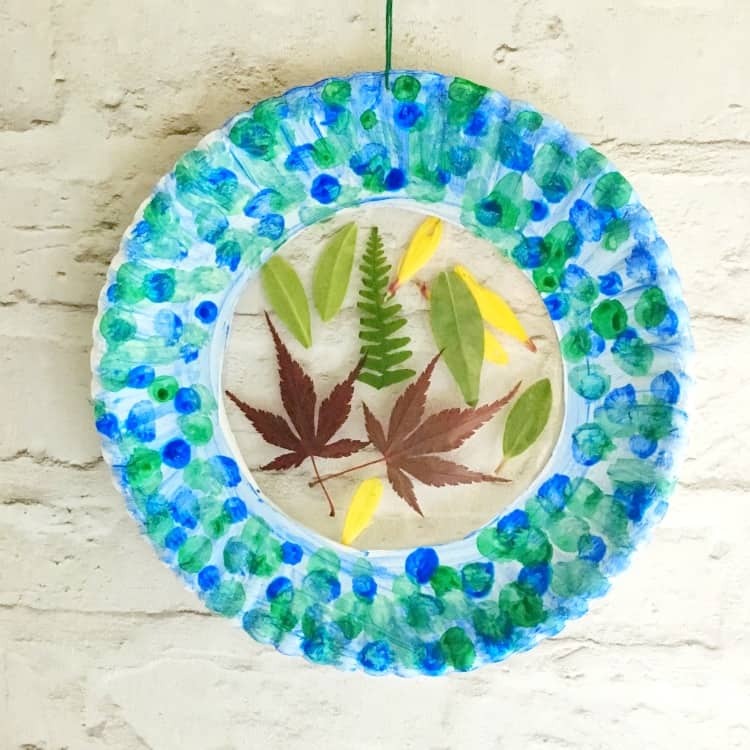 The collection of leaves and flowers will be used to make this fun sun catcher. 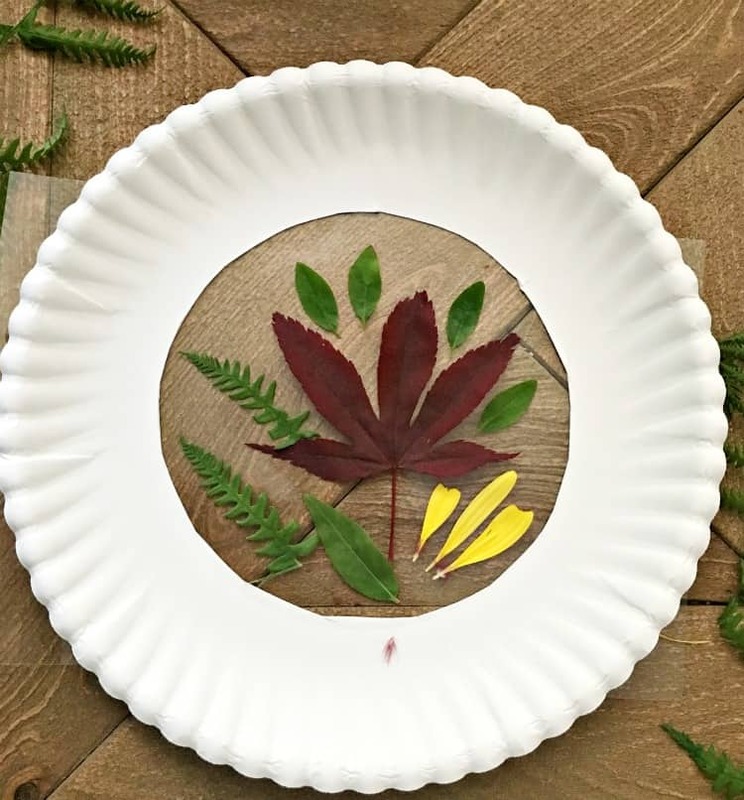 Kids will have fun creating patterns with the leaves and personalizing the paper plate frame with craft paint. 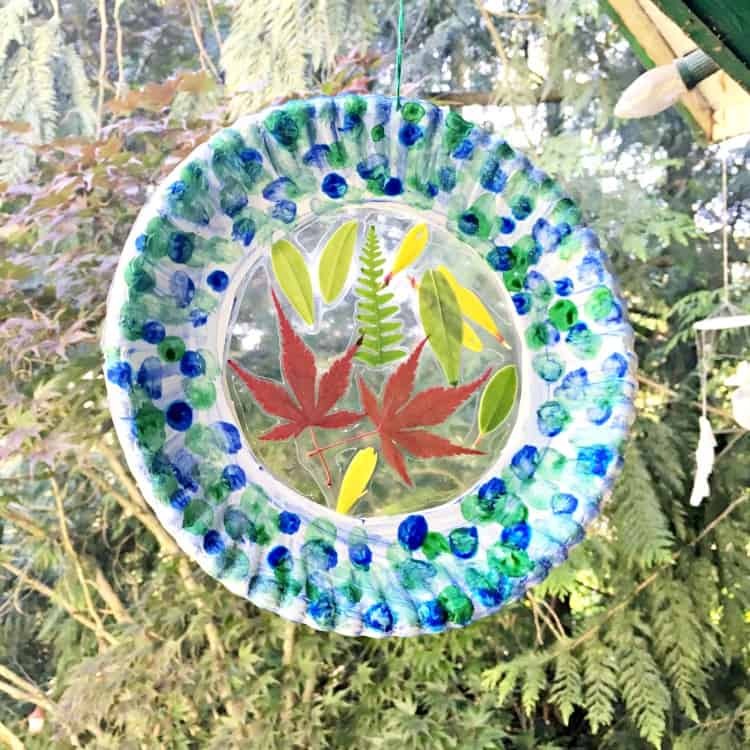 Hang the sun catcher in a sunny spot and enjoy the beautiful colors that filter through the leaves. Begin by cutting the center out of two paper plates. Remove the back of a laminating sheet and place it sticky side up under one of the paper plates. Arrange your leaves and flower petals on the laminating sheet and press them gently onto the sheet. Take another laminating sheet, remove the backing and place it sticky side down on top of the first on so that the leaves are sandwiched between the two sheets. Paint the top of the paper plate with craft paint. Set aside to dry. 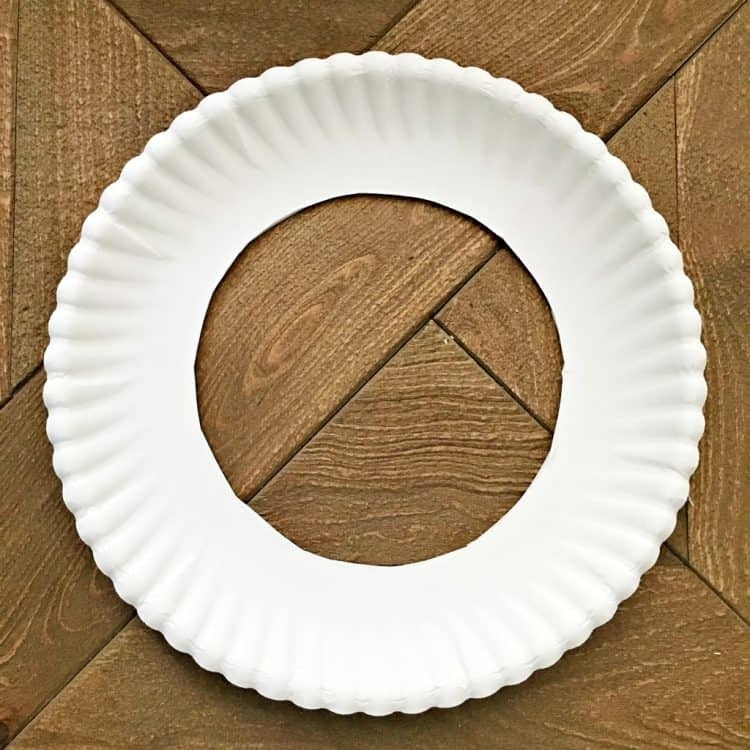 Once completely dry, punch a hole in the paper plate and attach a string to hang it. Hang from a window and watch the light shine through the colorful leaves. The summer sun may fade but memories will live on every time this sun catcher catches the light. 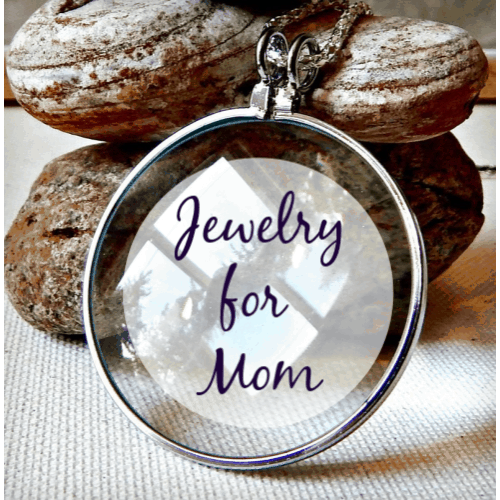 How will you decorate your summer sun catcher? Let us know in the comments! I know that koocam are looking for people who do DIY etc.